What author or story about writing most inspires you? I love to think about Emily Bronte, who wrote Wuthering Heights, while she lived in a small house on the moors with her family in northern England. She never traveled outside the country, or had any great contact with the world outside her home. She was not part of some sparkling social set. She wrote one of the most powerful and disturbing stories of English literature. It's almost as if her short, confined but productive life is, in itself, a metaphor of the power of the imagination. India is the setting of your book and short stories. What is it about the country that inspires you? India has a sensory richness that has to be experienced to be believed: the sights, sounds and smells and tastes stay with you and haunt your dreams. I feel honored to have lived there for a small part of my life, and to remain connected to this amazing place. I am particularly fascinated by stories of India's history from independence to the emigration to the West of my parents' generation in the 1950's and 1960's and how subsequent generations have adapted to life in the West, still dreaming of their former familial homeland. It has been fun to see the recent cultural interest in India with books and movies like The Namesake, The Best Exotic Marigold Hotel or Slumdog Millionaire; there are some great stories out there about India and her people. I always seek out South Asian authors to help me understand the complexities of life there: I think it's important to remember that India is not a blank slate on which to impose a fantasy, but a bustling, thriving and diverse place with its own rich tradition of poetry and storytelling. What advice would you give to someone starting out as a writer? Write, write and write! Don't be afraid to write nonsense at first. The physical act of putting pen to paper, or typing on those keys, can stir something that takes on a life of its own. Remember that perfection is a process; your first draft is just the beginning. 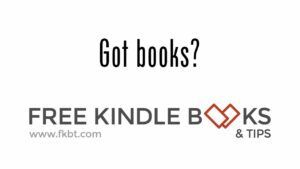 Don't forget to read either—good literature that captures the magic you would like to bottle in your own writing. When you read something worthy, think critically: what is this writer's secret? Is it their ability to craft a surprising plot, or do they have a way with words that makes you feel as if you are listening to music? What do you admire about their writing, and where do they come up short? I want to keep learning as I write, so that each one of my titles is better than the last. If you could choose to be any one of your characters, which would it be and why? I would chose Safiyah of The Dust Beneath Her Feet. I wanted to create a female character who faces hardship with spirit and resilience. Poverty is the cause of many insults to her dignity but she holds her head up high, even when circumstances seem to conspire to humiliate her. She is clearly a good, loving mother and will do whatever it takes to hold her family together. I don't know if I would be able to handle her circumstances with such grace. I based her character on my eldest aunt, who had to make a similar decision about whether or not to travel across India and join her husband in what was the new country of Pakistan at the time of India's Partition. Sadly, my aunt's story did not end well. I will continue Safiyah's story in my subsequent Purana Qila Stories series, but I'm not yet sure if she will ultimately share my aunt's fate. I'm very fond of her and I'm not ready to let go of her! You told us which character you would choose to be, if you could. Who was your favorite character to write? I think it would have to be Khan Sahib, the ghost who haunts Mirza in A Deconstructed Heart. Khan Sahib is disoriented by modern life and by Mirza's helplessness: it is a shock to him to see how isolated his former student is, without a close-knit extended family living situation once typical in India. You can see that Khan Sahib is very much a product of tradition: he comes from a rigid social and family structure that might seem confining to us today, but he also enjoyed a life rich in connections and community. You can't help admiring his assurance in his place in the world. I based him loosely on a chess teacher I knew in India, who was a rather upright, dogmatic fellow but ultimately very entertaining. It's interesting how many times in life we have to say goodbye. In my book and short stories, every physical move is a sloughing off of an old life and an intended or unintended betrayal of those who are left behind. I'm interested in exploring the repercussions that occur when one person decides to change course in life. The times in which I set both short stories were ones of great upheaval in India: firstly the tragic circumstances of Partition in India, and secondly, the incredible "brain drain" that took place when Britain, America and Canada opened up work opportunities for highly qualified Indian citizens. A whole generation of doctors and engineers, like my parents, who could not brook the corruption that was rife and the lack of job opportunity in India at that time, moved across the world to start over in the West. They left with their blessing of their families, but in the process, they left behind the comforts of a tight-knit community and the chance to be close to their parents in their old age. In A Change in the Weather, I placed the character of Imran in a difficult dilemma, torn between conflicting duties in two worlds. What is the central theme of your writing? I would say that loss is at the heart of my stories: loss of identity, homeland, family or love. With every loss, however, comes some kind of rebirth: a new way of imagining oneself, a new sense of connection or a relationship. My characters are often forced to adapt and grow as a result of something or someone being taken from them. In A Deconstructed Heart, Mirza has to adjust to the fact that his wife has left him and he realizes that his way of making a life in England is just not working. His niece, Amal, has been cocooned in her life in the north of England and feels pressured to join her parents at their new home in India; Mirza's breakdown is the catalyst that shakes up the lives of both characters and forces them to reassess things and figure out what they really want. They have to reinterpret what family means to them when the old traditional set-up has unraveled. 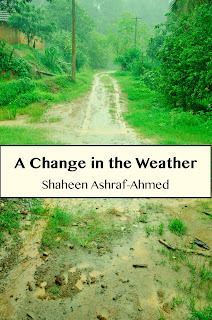 In my short stories, A Change in the Weather and The Dust Beneath Her Feet, the theme of loss is centered around physical displacement, as characters travel far away and loved ones are left behind. I'm interested in the immigration/emigration of the Indian diaspora and how every transition has a profound effect on personal identity and loyalties. I'm looking forward to exploring that idea as I continue the Purana Qila Stories series. I will be writing about the children and grandchildren of characters in my first two stories. Some of them will be second- or third-generation immigrants to the West, and I want to explore how their lives have turned out, the unexpected ways in which their fates overlap and what remains true to the Indian side of their identity. 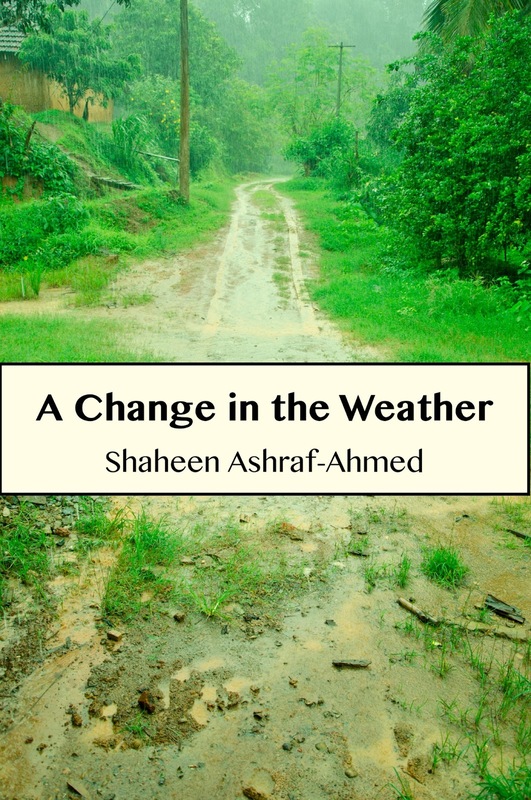 Bio: Shaheen Ashraf-Ahmed is the author of A Deconstructed Heart and The Purana Qila Stories series, which includes her e-book titles: A Change in the Weather and The Dust Beneath Her Feet. Shaheen won a national essay competition about life in India held by the Indian High Commission in England and has had her poetry and prose published in the Cadbury’s Book of Children’s Poetry, Nadopasana One and Tomorrow magazine. 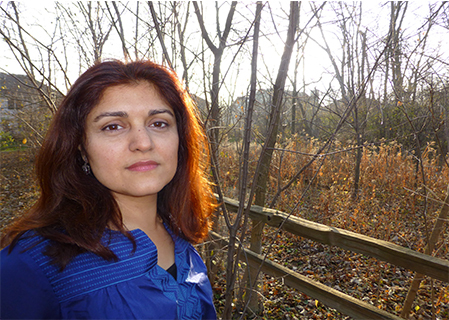 Shaheen lives in Chicago with her family. To follow her blog, please visit: http://www.coinsinthewell.wordpress.com.